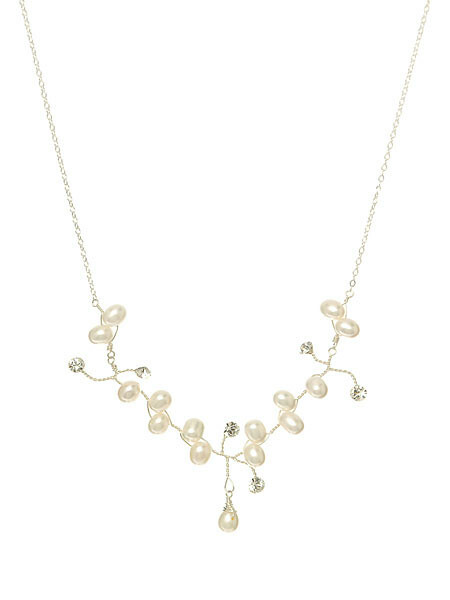 This beautiful Wisteria necklace features ivory pearls and diamanté stones on a silver chain. This necklace is perfect as a statement accessory. The pearls and diamanté will make you glow, style with other accessories from the Fern collection. This product was added to our catalog on June 14 Friday, 2013.